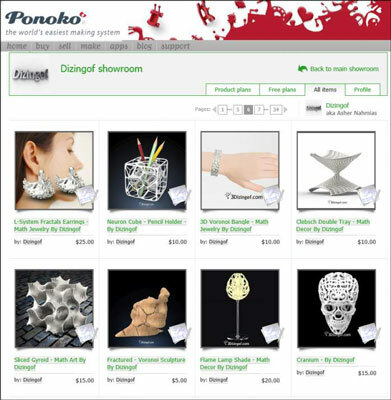 Even if you don’t have a 3D printer, you could create an online storefront to sell your own designs by taking advantage of services like Ponoko, Shapeways, and iMaterialize. These services have 3D printers of their own — and allow individuals to upload their own designs to be printed and shipped in a few days’ time. These designs aren’t limited to 3D-printed plastic kittens and the like — they can be fashioned with a great deal of artistic style and creative skill which illustrates the online Ponoko storefront of mathematical artist Asher Nahmias, who goes by the name Dizingof. Many of the more mature online storefronts for 3D-printed goods are starting to provide their own tools for the design and creation of items to be sold, simplifying things for those hobbyists without strong CAD backgrounds. Create the black-and-white text and graphic design using a free online word processor. After you have the text and image the way you want them, save everything as an image on your hard drive. Upload your image into Shapeways’ 2D-to-3D design tool, selecting the thickness of the design. Export the STL file generated by Shapeways’ tool, import it into the free TinkerCAD software from Autodesk, and add details. After adding a curved, raised border and a solid background to connect the picture and all of the letters, export the design as an STL back to your computer. Wait patiently for the commercially printed version. 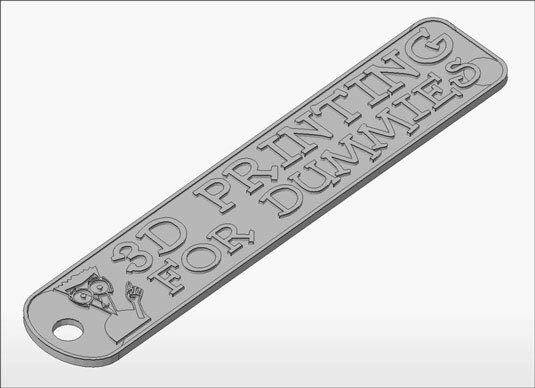 Kirk specified that his key-fob from Shapeways be printed in “Alumide,” which is a nice-looking mixture of plastic and flakes of aluminum. The object was delivered about two weeks later.